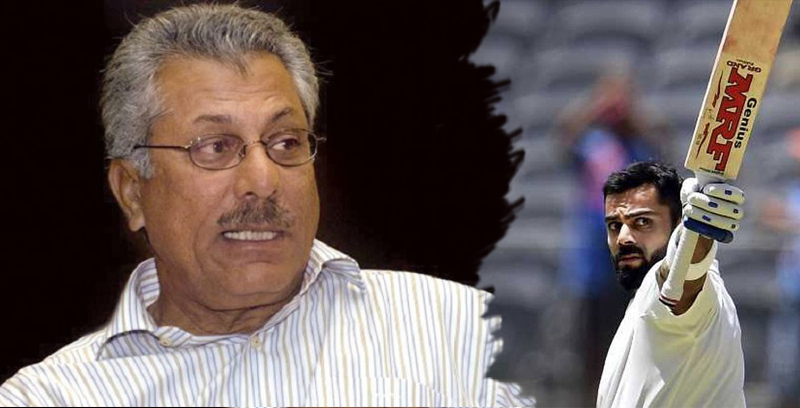 KARACHI: Pakistan’s legendary batsman Zaheer Abbas joined the bandwagon of former greats terming Indian captain Virat Kohli as the best batsman in world cricket who will break all the records of Sachin Tendulkar. Kohli currently has 39 ODI hundreds and is only 10 short of Tendulkar’s 49 centuries. Appearing on GTV, Zaheer advised cricket pundits to always keep in mind the era, conditions and opposition while assessing a batsman. “Obviously, the confidence will come when you have so many strokes and when you know how to stay at the wicket. These skills don’t come easily. It takes time and hard work and one needs to develop a system for this,” he said. “They are our players and I want to see our batsmen do very well. But at this stage, they have not reached that standard that I can feel proud of. They haven’t come up to world standards as yet,” he said. “Not only their batsmen but even their bowlers. They have improved a lot and this is because their board had the foresight to set up the MRF pace academy years back and get Dennis Lillee as their first coach to help groom their pacers,” he said.